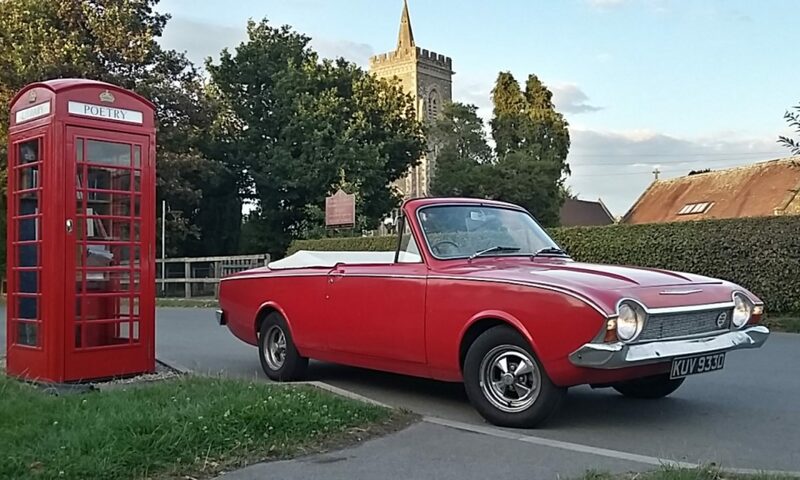 The Corsair has been with John at AJ Restorations for 2 months now, however my brief to him was to tinker between his bigger paying jobs to keep the costs down, only thinking it would be a carburettor tweak and a few other bits of tuning to get the car running properly. Well, nothing is ever simple. 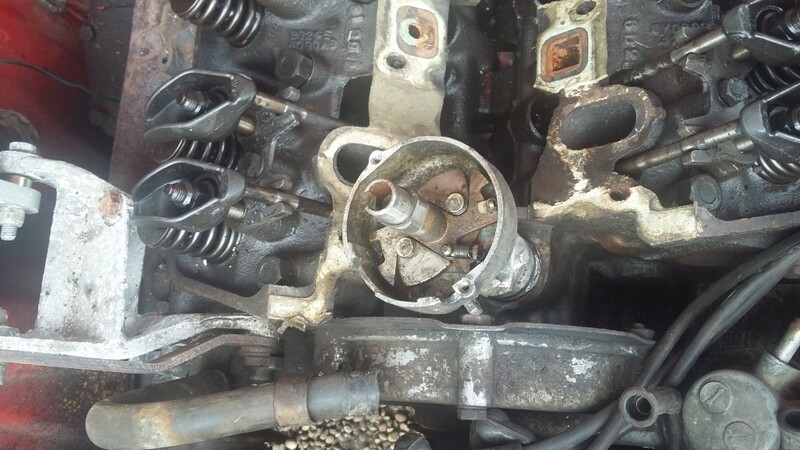 There are problems with the carburettor possibly having the wrong idler needle and jets but the main issue now is that the distributor appears to have seized in its mounting and won’t turn for adjustment. Visiting John’s today, I got to chat with Peter who helps out twice a week and is Ford trained from the 1970’s so he is quite familiar with the Corsair. However, the distributor is stuck, seized, no move. The internal weights had seized up too but they free’d off after a good soak with oil. So, the Corsair is looking rather sorry for its self at the moment. 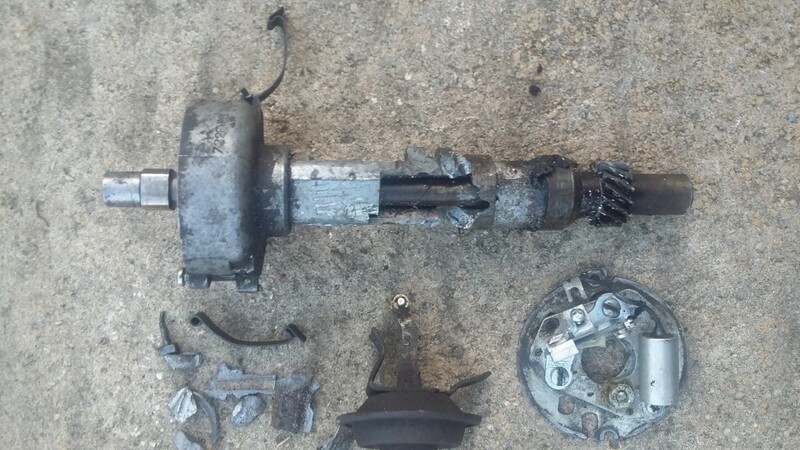 I also took down the distributor I bought some months back and after taking delivery had a suspicion that it was for another Ford car. It is quite different to the one in the Corsair which is probably a Lucas type and the new old stock one I had was a Bosch. Anyway, it was hard to identify the numbers on the box but John knows a man that can and if isn’t suitable then I should have the right info to re-sell it. 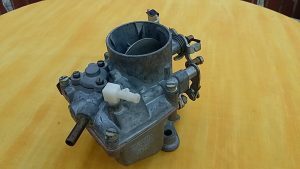 The carburettor was fitted a couple of weeks ago (18 Sept 16) along with the radiator and cooling system for a test start up. However, it didn’t work out as well as I hoped. 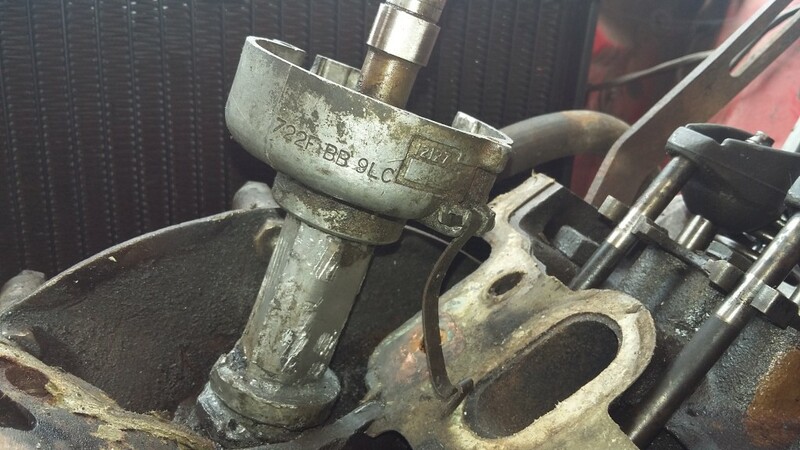 While the car started easily the carburettor was not set up right or properly adjusted or whatever… With the choke out the engine was revving high – guessing 2-3000 rpm and with the choke pushed in it rose higher still! Fiddling about with the volume control screw didn’t seem to have an effect, even swapping it out for another only made things worse. I had to abort the running engine when the revs were rising – and so it was back to rethinking what was wrong. 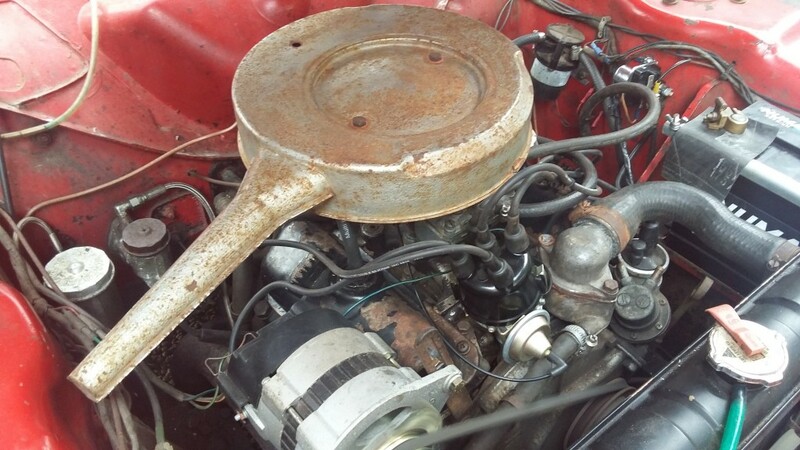 A couple more weeks pondering options, re-reading paperwork and on-line solutions gave a hint that the carb needed rebuilding or stripping down again. 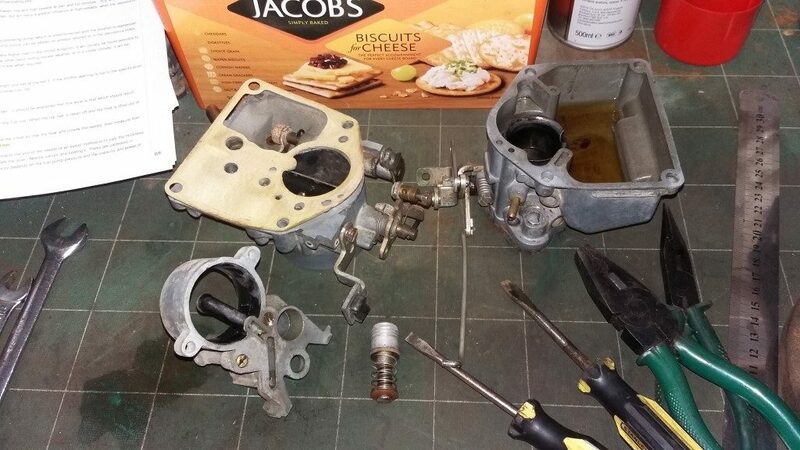 Back in the garage, armed with a better mood I tried again with the carburettor rebuild, took it apart and sought to clean the mating surfaces within it more efficiently. Using 1200 grit wet/dry paper lubricated with WD40 I rubbed down the surfaces again though a bit more thoroughly and getting a cleaner/shine to them. 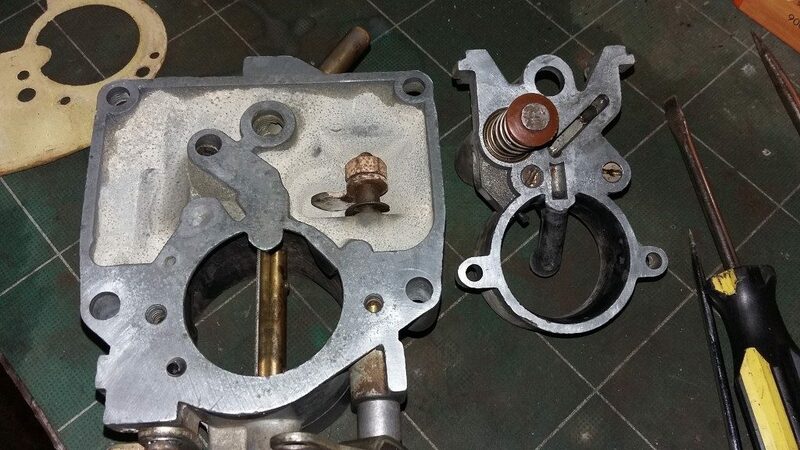 While it was all apart I sprayed more carb cleaner in various orifices when removing a variety of screws. 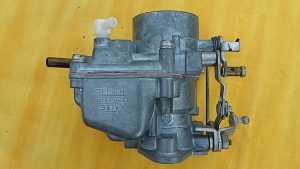 Zenith 361v carburettor cleaned for a second time. 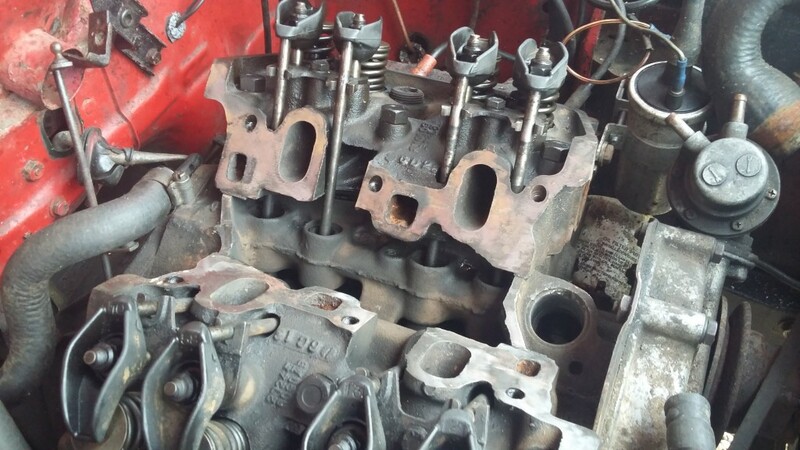 Upon rebuilding I paid more attention to the set up of the throttle stop and volume mixture screws and then put it back on the engine. I tentatively restarted the car without any choke to begin with and it fired up ok though was a bit lumpy. I gave it a small amount of choke and it ran fairly smoothly but not at high revs this time. Blipping the accelerator was smooth and there weren’t any pops and back fires through the carburettor. Idling needs to be adjusted properly with a tweak to volume control and throttle stop required, but that can come on a later date. 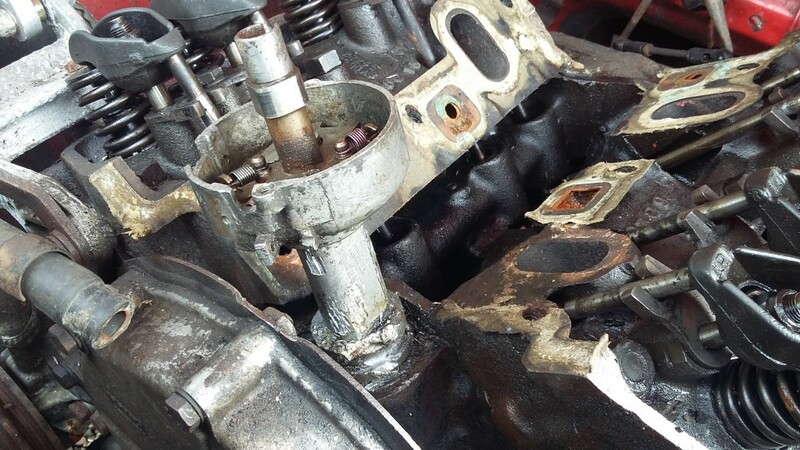 So far so good, I had a minor leak on the brake system while the car was away being restored, so that will need re-bleeding all round. 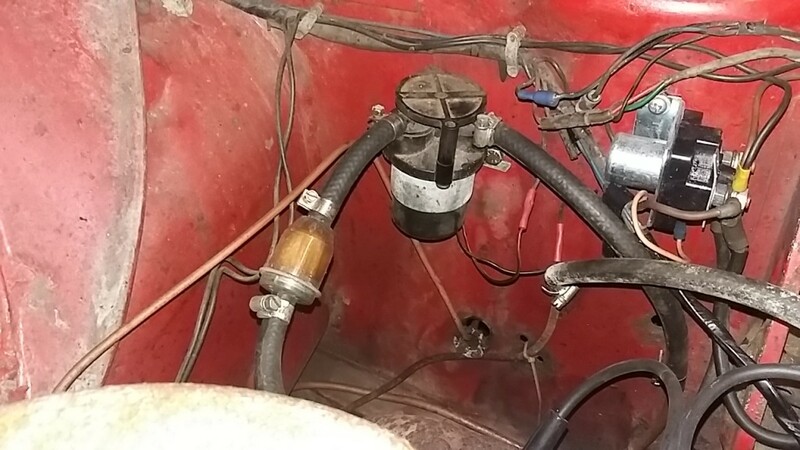 Another nice day last week (Tuesday 5th July) and I had the Corsair out on the driveway to adjust the tappets and refit the drivers side window winder mechanism. 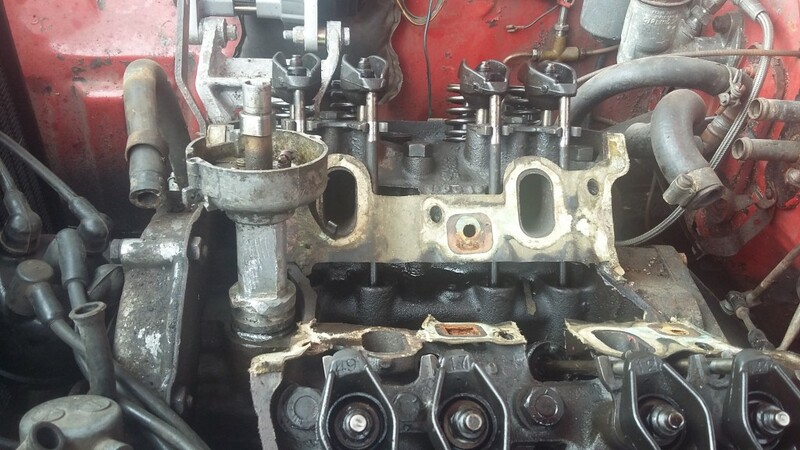 Adjusting the tappets wasn’t as difficult as I thought it was going to be, the only thing I had to keep an eye on was the sequence of adjusted inlet and exhaust tappets with the corresponding feeler gauge size. I’m sure I missed one or two, while the engine sounds a lot quieter there is still a tappety noise, something I’ll revisit another time. 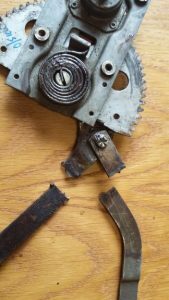 I had welded the broken winder arms together again a few weeks back and it looked and felt a lot stronger this time. Fitting wasn’t too traumatic the only tricky bit was getting the clips to clip on and hold the arms in place. With the welding repair done, what I didn’t do last time and that was to drill a hole and tap a thread so a screw could be fitted to hold the winder handle in place. Just got to do the same on the passenger side. 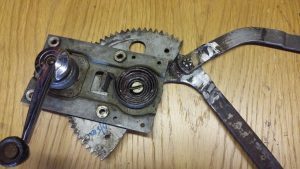 I seem to remember these window winder mechanisms are from a Triumph Spitfire and cost me £22 for the pair back in 2001/02 and then I had to chop them up to fit. The inside runners were all rusty and falling apart so the glass rattled against the door top when wound in the up position. I had a visit from John from AJ Restorations the other day to look at pricing the front chassis welding repair. 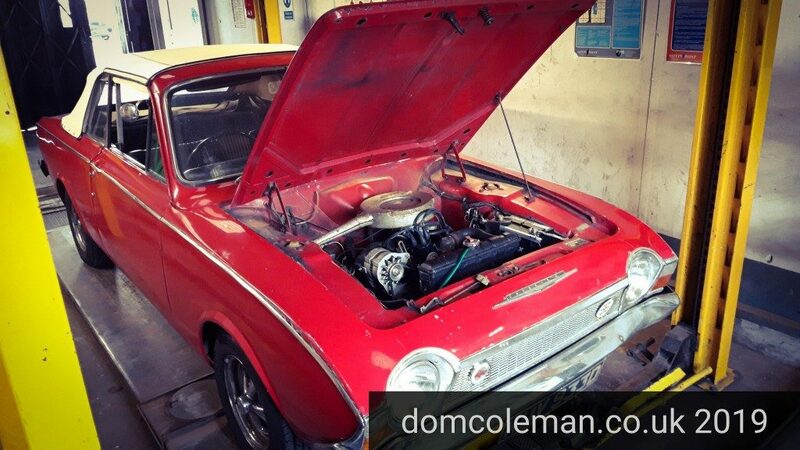 I bought some repair sections from the MK1 Cortina club and have become a member of the club as well.